The document, published following a consultation that ended last summer, is intended to complement three other UK government strategie – the Industrial Strategy, the Clean Growth Strategy and the 25 Year Environment Plan – and covers a variety of issues including air pollution from farming and domestic fuels but with minor action on pollution from transport. 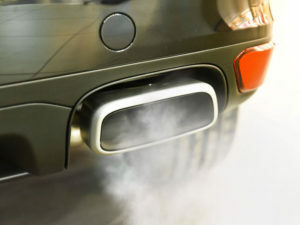 In the transport section, it points to last year’s Road to Zero Strategy, and also says that new legislation will be passed that will enable the Transport Secretary to compel manufacturers to recall vehicles and non-road mobile machinery for any failures in their emissions control system, and to take effective action against tampering with vehicle emissions control systems. It also says the Government will work with international partners to research and develop new standards for tyres and brakes to enable us to address toxic non-exhaust particulate emissions from vehicles which include micro plastics and can pollute air and water. And it will reduce emissions from rail and reduce passenger and worker exposure to air pollution. However, the document has been slammed by sustainable transport group Transport & Environment for failing to introduce a national network of clean air zones (CAZs), which would take the most polluting vehicles out of the most polluted areas. According to T&E said, this would be by far the most effective solution to the urban air pollution problem, although consultation respondents were torn between whether this should be done on a local or national level. And although clean air organisations such as ClientEarth and consultation respondents had called for the strategy to include the Road to Zero and the NO2 (or clean air) plans to provide a complete view of action to address air quality within transport, this has not happened. T&E also accused the plan of simply repeating “existing plans that have failed to clean up transport – instead of proposing effective new emissions controls”. It added that the Clean Air Strategy does not even set out when nitrogen dioxide (NOx) limits – which are widely breached in British cities and should have been met in 2010 – will be achieved. Some consultation respondents has also called for actions including designing transport hubs which encourage lower-emission modes of transport and developing solutions for meeting mobility needs which are more sustainable and result in lower emissions. Commenting on the document, ClientEarth Head of Public Affairs Simon Alcock said: “This strategy doesn’t address the huge problem of air pollution from transport that is harming people’s health. It instead claims that it is being dealt with by other plans. What it doesn’t say is that those plans are in total disarray, so once again the government has missed a golden opportunity to clean up illegal levels of air pollution across the country and start protecting people’s health.